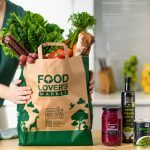 As the popularity of the “superfood” coconut oil has risen, Food Lover’s Market has become the popular destination to get well-priced coconut oil. Enjoyed in Asian cuisine, as a substitute for butter, in LCHF “bullet coffee” and as part of tasty and trendy energy balls, it seems coconut oil can do no wrong. 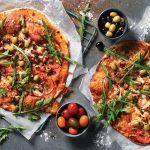 While the jury is still out on whether coconut oil deserves its illustrious proclaim, we will share some great ways to use coconut oil – and not only in your kitchen. The high saturation fat content of coconut oil makes it ideal for high heat cooking, including frying. Unlike oils like avocado or olive oil, which are better used cold, coconut oil does not deteriorate when exposed to high temperature for prolonged periods. Adding it to stop food sticking to pans or baking dishes, will make clean-up a breeze. Frying kernels in coconut oil is exactly the aromas you would have remembered from your childhood. Not only, can you make the popcorn with it, it is great as a topping too! Margarine has gone down in popularity and the price of butter has soared. Coconut oil is tasty substitute spread on toast or a sarmie, and can replace less healthy fats when baking. Add a nutty, unique flavour and creamy feel to your coffee by adding a teaspoon of coconut oil. It adds an energy kick too! Have you heard of ‘oil pulling’? Coconut oil is known to kill the bacteria that causes plaque and gum disease. Oil pulling is rinsing for 10 minutes with a table spoon of coconut oil to clean the teeth and improve dental health. To make it a little more palatable, add some bicarbonate of soda and a few drops of mint oil. Conditioning your hair in coconut oil for 15-20 minutes a week will make it shine, make it soft, reduce frizz, moisturise the hair and even reduces your hairline from receding. It has been used for generations to strengthen hair. Coconut oil adds moisture to you skin and is free from chemicals and other harmful substances you don’t want absorbed into your body! It can provide some relief to skin irritations such as eczema. It is also a lovely repair for feet, and can be applied every night before bed for the softest, smoothest feet. This one is simply, dash a little cotton wool or gauze in coconut oil and gently wipe to remove your make-up. Watch out if you have lash extensions though. Unless you want to take them off – If so, it’s just the thing! Coconut oil moisturises your lips, and it works well because it is the right consistency to apply. Natural ingredients like essential oils add a scent and natural ingredients like beetroot or cocoa will add a rosy tint. If your chopping board is due for a varnish, why not rather soak and treat it with natural coconut oil to make it shine and protect it? 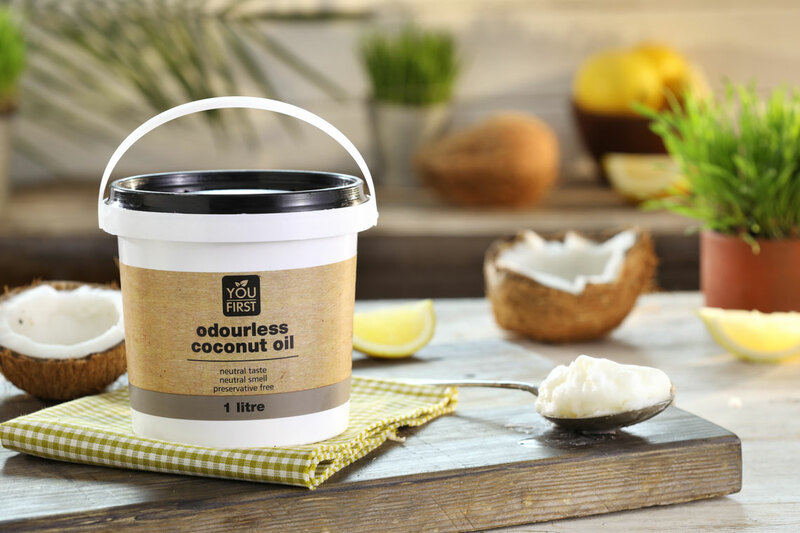 To prevent cast iron pots from rusting, coconut oil is perfect as it is solid until about 24 degrees Celsius. It can also be used on silverware, and it prevents dust from settling on surfaces. Remember despite its many benefits, coconut oil is still a fat and must be enjoyed in moderation as part of a healthy diet. How do you use your coconut oil in your home?